In this example we can see how to configure search without leaving the Grid application using the quick search. 1. 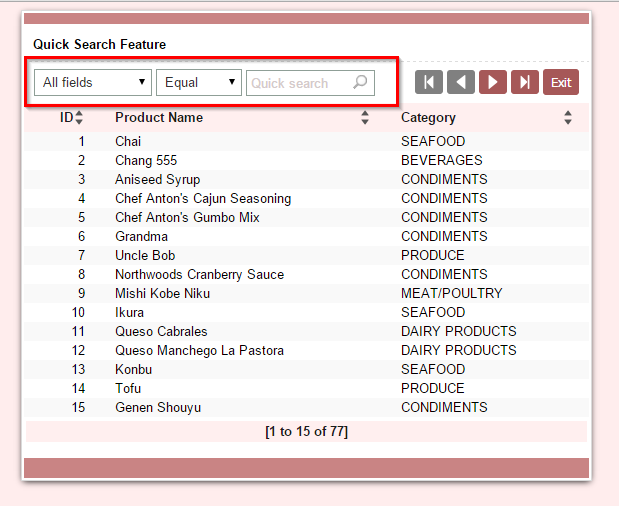 In an application of Grid, go to the tab “Filter” from the application menu and then click on " Quicksearch >> Select fields." 2. On the first tab, we select the fields in which we can perform the search individually. 3. 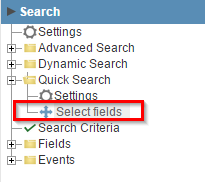 On the second tab, we select the fields in which the search is performed when the “All fields” option is selected. 4. Select the search criteria in the third tab.